Home » Historical Place » History » What is the Largest Bridge in the Philippines? » What is the Largest Bridge in the Philippines? What is the Largest Bridge in the Philippines? 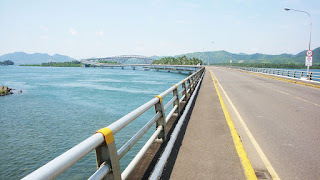 An arch-shaped truss bridge in the Philippines stretching from Samar to Leyte.It is part of the Pan-Philippine Highway. It is the longest bridge in the Philippines spanning a body of water with a length of 2.16 kilometers.